Headphone audio on smartphones is something we rarely think too much about, because, well, most people don't really care. As long a smartphone produces sound that is listenable and loud enough, your average Joe isn't particular concerned about the quality. 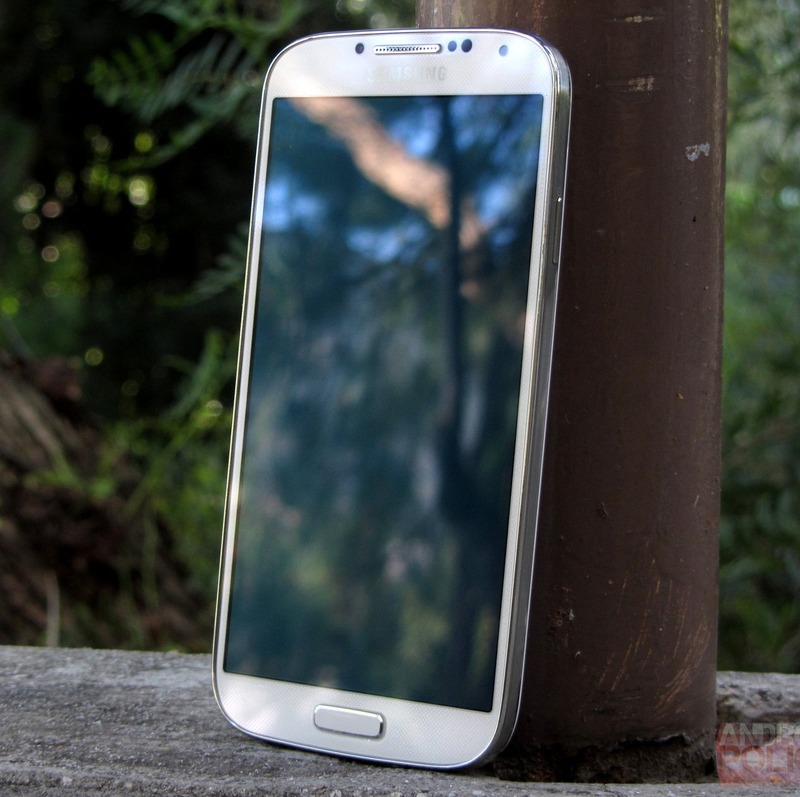 But according to a growing number of individuals, some Galaxy S4 handsets powered by Qualcomm's Snapdragon 600 chipset are basically unusable with certain headphones. The problem typically manifests itself as a particularly unpleasant "clipping," which most people would describe as crackling, buzzing, or popping. This may not sound quite so horrible at first blush, but listen to the short clip of some headphones in the Soundcloud widget below to hear it for yourself (recorded by an XDA member). Now, imagine that much louder, and laid over your favorite song. Not so great, right? If my phone were experiencing such an issue, I'd be sending it back / replacing it without question - this is is a serious concern. The general consensus has been that the issue affects low-frequency sound on headphones with low impedance, but given the wide variety of headphones claimed to be affected on XDA - ranging from over-ear studio-style Sony and Yamaha products to high-end Logitech Ultimate Ears in-ear buds - that theory sounds pretty circumstantial. 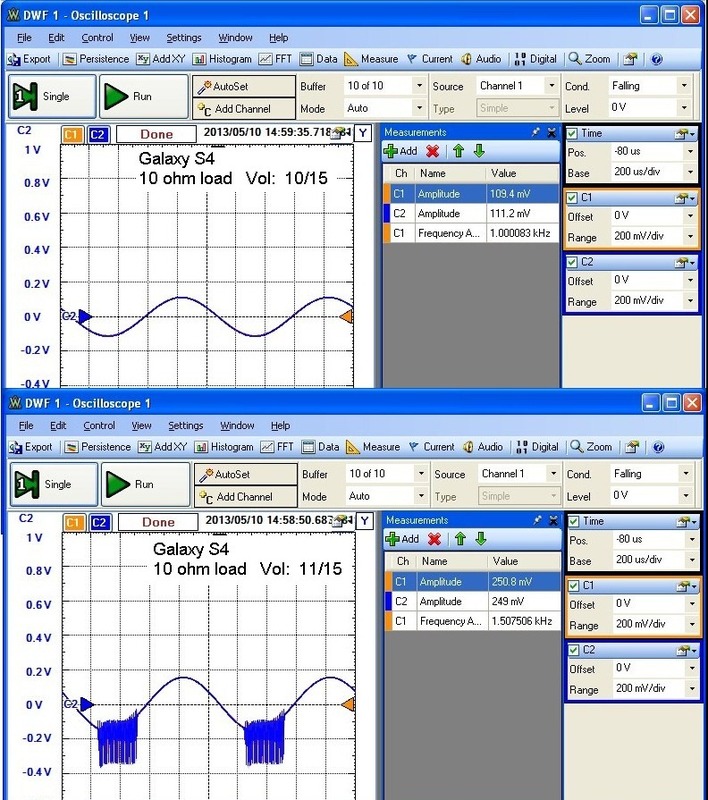 XDA member Jensign conducted an in-depth study of the Galaxy S4's audio output with low-impedance headphones, and found that an anomaly at a specific volume level occurred, resulting in a "buzzing" sort of sound. It's unclear if Jensign's problem is actually the same as what other individuals are experiencing though, even if it clearly is a significant issue in and of itself. Some posters on Reddit and XDA have indicated buying an adaptor (basically, what's typically called an airline attenuator) that increases the effective impedance of affected headphones solved the issue for them. If you want to read the engineers' discussion about whether or not this is a hardware issue, I'd suggest this particular comment thread on Reddit. The real puzzling part, though, is that it doesn't seem to affect all handsets - only some. 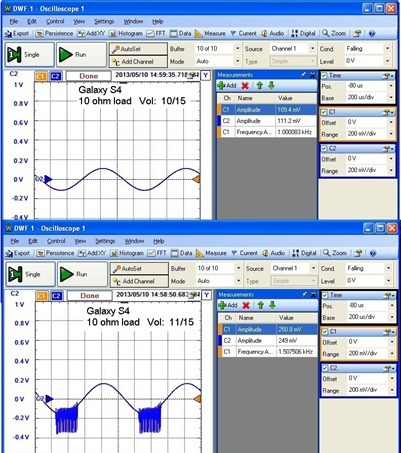 I tested my AT&T Galaxy S4 (which is a Qualcomm variant known as SGH-I337) with 7 pairs of headphones, both in-ear and on-ear, and could not produce any kind of distortion or clipping at any volume - even the magic "11" setting that seems to produce the distortion found in Jensign's tests. Numerous posters have indicated retail display models (which, admittedly, are a slightly different hardware variant in some countries) don't experience the distortion, and at least one person reported the issue vanished when he received a replacement handset. So, what's the problem, really? It's difficult to say. Given the wide variety of headphones affected, and the limitation of the problem to Qualcomm variants of the S4, my guess at this point remains hardware. Smartphones are a mish-mash of currents and frequencies, and audio components can be particularly sensitive to various types of interference when improperly shielded. It's entirely possible we're looking at a manufacturing defect here, that something in the actual chipset (eg, the headphone amplifier) of some devices has been poorly isolated or is physically defective. But it's also possible we're looking at a software issue, and I don't want to discount that explanation - I'm no audio engineer. Samsung's response? Some have said Samsung has been willing to take the handsets in for software updates and headphone jack replacement, but that this hasn't solved the issue. Others have been utterly stonewalled, with Samsung suggesting that their headphones are "incompatible" with the Galaxy S4, which is probably the worst excuse they could come up with in this situation. Regardless of the root of the problem, this is definitely on Samsung to solve - let's hope they figure it out.